Ultra-low-sulfur diesel fuel (ULSD) provides significantly reduced lubricity – a critical property in controlling wear in fuel pumps and injectors. 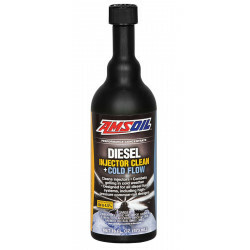 AMSOIL Diesel Injector Clean adds back the lubricity the fuel pump and injectors need, improving service life and saving time and money on maintenance costs. AMSOIL Diesel Injector Clean's powerful formula cleans fuel injectors and piston rings for improved combustion and better sealing. It minimizes soot generated from incomplete combustion and helps keep soot out of the crankcase, reducing soot-related wear and motor oil viscosity increase. AMSOIL Diesel Injector Clean provides many of the same beneﬁts in heating oil furnace applications. It provides fuel-oil storage stability, corrosion protection, fuel-oil ﬁlter longevity and its exceptional cleaning properties help keep fuel-oil nozzles clean for proper spray. 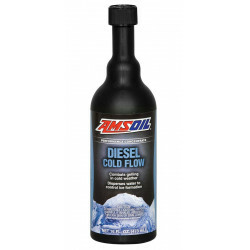 AMSOIL Diesel Cold Flow Improver is recommended where fuel oil is stored outside at temperatures below 32˚F. 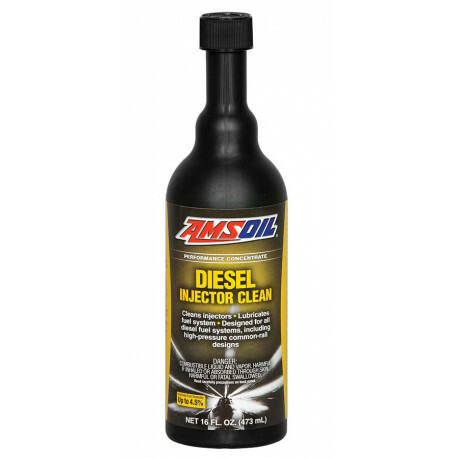 AMSOIL Diesel Injector Clean is recommended for use with all types of heavy- and light-duty, on- or off-road and marine diesel engines. For initial use, follow the Clean-Up recommendation; use Maintenance dose for regular treatment. Use with every tank of fuel for best performance and protection against fuel-pump wear, injector wear and injector deposits. Compatible with all types of exhaust emission systems, including diesel particulate filters (DPFs). Add to fuel before storage. 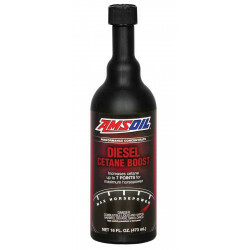 Excellent for use with AMSOIL Diesel Cetane Boost and AMSOIL Diesel Cold Flow. This diesel fuel additive complies with the federal low-sulfur-content requirements for use in diesel motor vehicles and non-road engines.